Simply put, vintage just plain adds soul to a room. 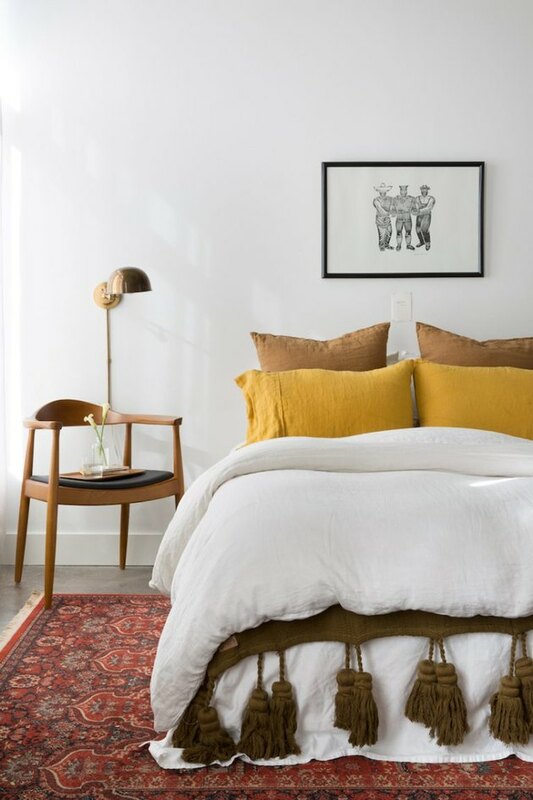 And while it's true of any room, it brings a special authenticity to a bedroom, a space where you can let your hair down and be yourself possibly more than anywhere else in your home. Vintage is a way to express your unique tastes and personality with pieces that are nostalgic and treasured in equal parts. And besides, it just looks really cool. Whether you choose to put all of your favorite antique pieces in your sleeping quarters, or you want to display subtle touches here and there, you'll have no shortage of inspiration when it comes to decking out your space. To get you started, here are six vintage bedroom ideas that are guaranteed to make a lasting impression and fill your space with oodles of character. 1. Fully embrace your favorite era. What's your fave vintage era? The atomic fabulousness of the '50s? The free-spirited vibe of the '70s? Whatever it is, you can go all out in your bedroom and recapture that time in decor history. Ashley Palmer of Retro Den has nailed the aesthetic of the '70s in her own bedroom. The macrame wall hanging, paint-by-number art pieces, and maize throw blanket come together for a totally groovy look. Another vintage bedroom idea is to decorate your space with items from varied time periods to create a look that is truly one of a kind. 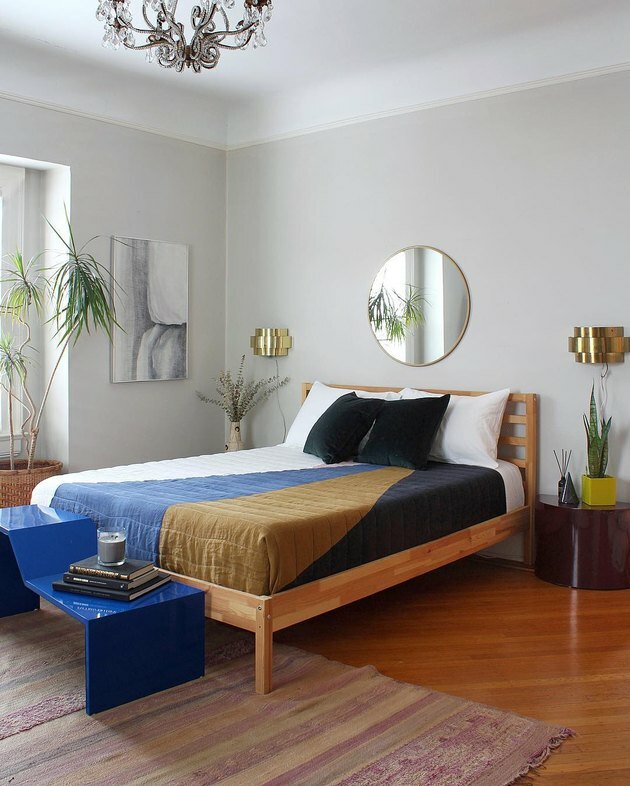 Joey and Mark of Ball and Claw Vintage outfitted this bedroom with pieces from several different eras — such as the area rug, wall sconces, and night tables — and it works flawlessly. The graphic quilt and round mirror have a contemporary feel, which gives the space a modern edge. 3. Allow a single piece to take center stage. 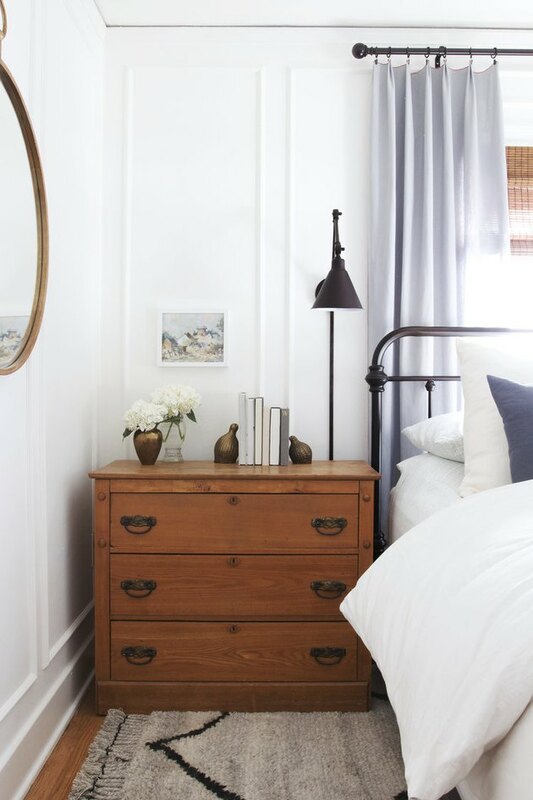 If you have a particularly extraordinary piece of vintage furniture, give it plenty of space in your bedroom to shine. In this space belonging to Chanel Dror Tarlo from the team over at Camille Styles, a midcentury chair in the corner brims with character and looks amazing all on its own. 4. Bring in vintage textiles. 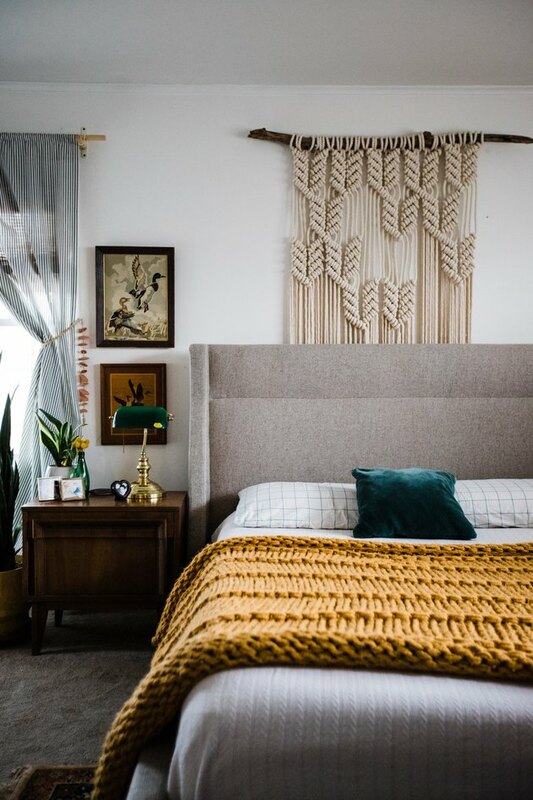 There are so many places where you can score antique textiles nowadays (resale shops, flea markets, Etsy, eBay, Instagram) and they look ideal in the bedroom. 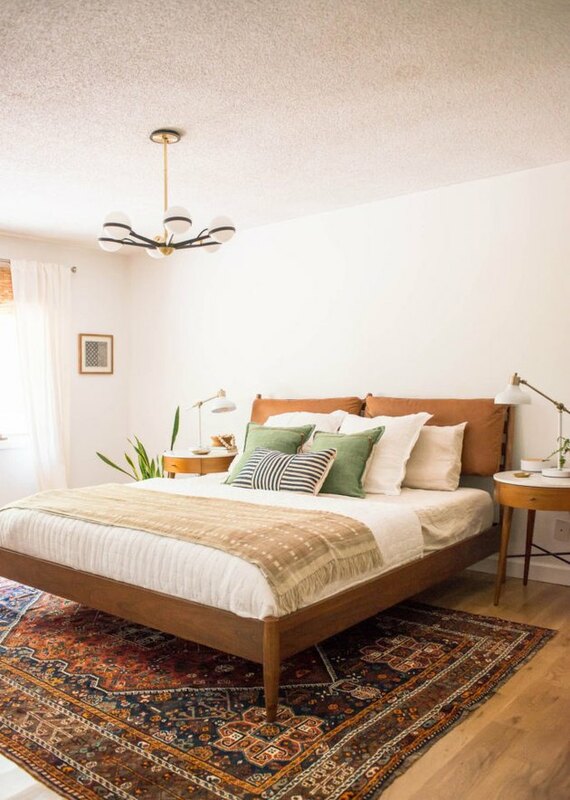 This vintage bedroom idea designed by Ashley from Bigger Than the Three of Us is made complete with midcentury furniture, an area rug, and a mud cloth throw. 5. Decorate with throwback colors. Colors that were once popular — avocado, bright orange, goldenrod, cognac — have all made a comeback and look surprisingly stylish in modern spaces. 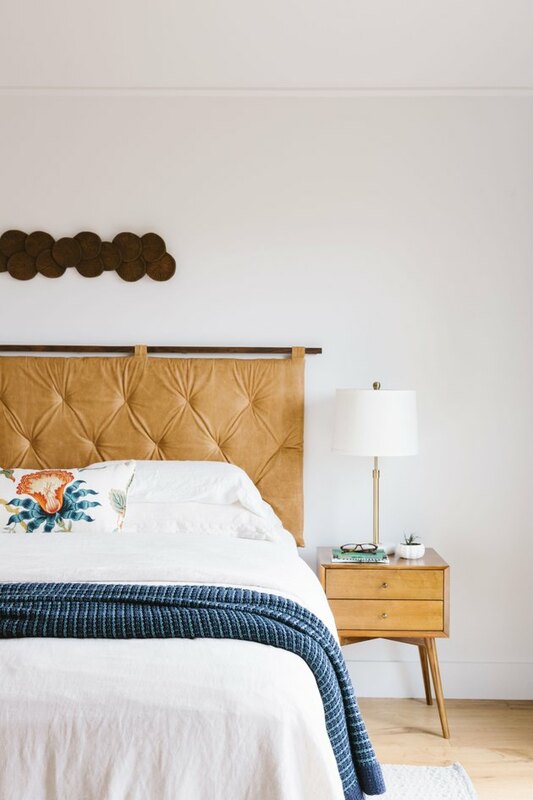 For example, in this vintage bedroom idea designed by Emily Henderson, cognac has never looked more chic on a distinctive upholstered headboard and accompanying vintage nightstand. 6. Don’t go top-to-bottom vintage. A room teeming with vintage treasures is certainly an attention-grabber, but it's also a good idea to mix in some modern pieces as well. In this bedroom designed by Garrett and Cathy of The Grit and Polish, a brand-new lamp and area rug pair well with an antique dresser, wall art, and bookends.